Decorating projects are rarely straightforward. But there are some things we can do to make them less stressful—and one of them is choosing a quality paint brand you trust. At Centropaint, we strive for unrivalled customer satisfaction and unbeatable results. That’s why we supply our Woodbridge customers with Benjamin Moore paints. They’re a joy to apply: Benjamin Moore paints are the byword for smooth application and superior coverage. Their outstanding quality means a little goes a long way, so you’ll find you won’t need to apply as many coats as you will with other paints. Saving on effort as well as application and clean up time—this is one of the many reasons they’ve long been the brand of choice for professionals. They’re durable and long lasting: Any space we inhabit will inevitably see some wear. 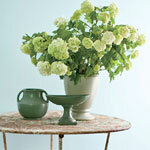 Lucky then that Benjamin Moore paints are designed to keep their lustre for years, no matter how hard they’re worn. Known to stand up better than any other brand to cleaning and scrubbing, you needn’t worry about the odd spillage here and there. And their Colour Lock pigmentation technology will ensure your Woodbridge home looks as vibrant as the day it was painted. 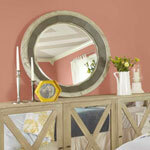 They’ve got an unbeatable range: Benjamin Moore have spent 130 plus years perfecting and expanding their products. Now with a staggering 3,400 colours to choose from for every texture, surface and finish, you’ll never run short of options. No matter your project, you can bet that they’ll have a paint for it. They’ll save you money: Yes, you heard us right. Premium paints saving you money? Well it’s true. We’ve found that the easy application and superior coverage of Benjamin Moore paints ends up saving a lot of time which, when you’re paying a contractor by the hour, adds up. Not to mention the money saved by having to buy less paint. Factor in the durability and longevity of your final paintjob and you’ve got yourself some significant savings. They’re the cleaner choice: The final clincher—they’re healthier for you and your family, and better for the environment. As the first North American paint manufacturer to move away from solvent based paints, all their products are now Waterborne. This means they’ve reduced Volatile Organic Compounds (VOCs), which had been found to cause respiratory and other health issues. And in their Natura range they take it one step further by eliminating VOCs altogether, making Benjamin Moore a paint brand you feel good about buying. At Centropaint, we’re passionate about quality products and want our Woodbridge customers to be satisfied every time. That’s why we only stock the industry’s finest paint. New to Benjamin Moore? Come pick up some samples from our Woodbridge paint store today or call us on 905-832-0870 to discuss your project. Finding the right paint colour for your Woodbridge home or office can be tricky. With literally thousands of colours to choose from at our paint store, the sea of samples can be overwhelming. Knowing your lighting is the best way to whittle it down. It’s the single most important factor when it comes to paint colour—saving your cornflower white from turning into dishwater grey. So we’ve got our paint store professionals here at Centropaint to show you how to avoid buyer’s regret by knowing your lighting. Samples: Effective sampling will make your choices much simpler. Once you’ve got your sample pots from the paint store, apply two coats to primed dry wall. It’s best to try this in various areas of your room, as the light will fall differently throughout. Observe how they look over the course of a day or at the time of day when you’re most likely to use the space. Natural and artificial light will bring out very different shades in your samples. Natural light: Anything but consistent, natural light changes depending on the time of day and year. Knowing what direction your room faces is the best guide. North and East facing rooms have a cooler, bluer light—offering a great opportunity to use warm, bolder colours. Whereas South and West facing rooms get warmer rays, calling for cooler colours. Artificial light: The type of lighting you use in your Woodbridge home will have a massive effect on colour. So if you’re decorating from scratch, it’s vital to get your lighting plan finalised before going to the paint store for colours. Yes, it’s that important! Incandescent bulbs draw out yellows and warm tones. Whereas blues and greens do well under Fluorescent light. Halogens most closely resemble natural light, making all colours more vibrant. And LEDs are the most flexible—try warmer or cooler depending on your taste. Light Reflectance Value (LRV): This is a key consideration when buying paint for your Woodbridge It’s written as a percentage on every colour swatch, indicating how much light a colour reflects and thus how light or dark it will look on your wall. So 0% LRV would reflect no light (and appear black) and 100% LRV would reflect all light (and appear bright white). For home interiors, 50% LRV is the guideline. But you can experiment with this according to how much light your room attracts. Paint sheen will also affect how much light is reflected – glossy will reflect more light than matte. Follow these steps, and your home will be everything you envisioned, rather than a best guess. Here at Centropaint, we want your project to be a success—we’re always on hand to help. 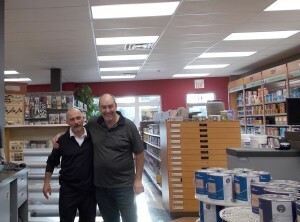 Come visit our Woodbridge paint store, or call us on 905-832-0870 for more decorating advice from our friendly experts. Many of our Thornhill paint store customers have misconceptions about the “right” and “wrong” ways to approach their painting project. It’s not their fault—the internet is full of bad advice. But not only are these myths misleading, they can hamper your decorating project and stop you making the most of your home. So we want to put paid to these pesky myths by busting them once and for all. Our experts are here to set the record straight. Never paint your ceiling anything but white: Yes white is a great colour for reflecting light, but it’s certainly not the only option. Think of your ceiling as a 5th wall—it plays a huge part in the overall feel of your room and using colour can actually make your room appear larger. Sky blue is a great colour for elevating your ceiling. And to give it a more expansive feel, go a couple of shades darker on the ceiling, with a medium shade on the walls. If you’re feeling really adventurous, why not add some eye-catching patterns? Small rooms must be painted a light colour: This has a similar origin to the ceiling myth—that dark colours make a room appear smaller. But furniture size, placement and other décor play a larger part in this. If done right, you can add warmth and character to a room with dark, bold colours and the right furnishings. Dark colours in a small room can make it look cosy and inviting. White spaces look clinical and uninviting: This is a popular myth with our Thornhill paint store But with countless shades of white to choose from, this just isn’t true. There’s so much you can do by layering different textures and shades to create warmth, tranquillity and energy in a room. White rooms can be whatever you want them to be—they’re the proverbial blank canvas. If you repaint one wall, you have to repaint them all: Some parts of our home just get more use than others, and it would be madness to repaint the whole house every time a high traffic wall was past its prime. So repaint each wall as needed. And even if you can’t remember the name of the paint, come into our Thornhill paint store and we’ll match it so closely, you won’t know the difference. Always apply two coats of paint: This is by no means a hard and fast rule. Paint coverage is determined by the quality of paint, its colour and the surface it’s applied to. When you’re using a quality paint brand like Benjamin Moore on a well-prepared surface, one coat of paint will be sufficient under most circumstances. See for yourself, and remember—preparation is the most important stage of any paintjob. If some of these myths have been keeping you from fulfilling your decorating dreams, we hope they no longer are. For more expert advice from the Centropaint team, visit our Thornhill paint store or call 905-832-0870 today. Few things are as satisfying as a home improvement project successfully completed. On the other side of that coin however, are those situations when you finish, stand back and say “How did that happen?” This is actually a fairly common end result when the process of selecting the right paint for your home has been rushed or not so well considered. Thankfully, it’s a result that is also pretty easy to avoid. Below we’ll take you through some common house painting mistakes and show how our colour consultants can help you avoid them. Not Considering the Rest of the Room – It’s easy to get so caught up in thinking about how that Windsor blue is going to change your life that you forget to think about whether it goes with your maple hardwood floor. Bring photos of the room with you and show them to our colour consultants. They’ll help set you on the right colour path and save you lots of time and trouble. Ignoring the Finish – A pretty common mistake is choosing a paint without paying attention to the finish. It happens all the time. Folks are in a rush to get going and leave the paint store unaware they’ve chosen a high gloss finish for their living room walls. When you work with our paint consultants they’ll make sure no details are overlooked. Selecting Colours that are too Bright – Everybody wants a bright happy home and colours are certainly the foundation on which mood is built. That said, painting an entire room with a semi-gloss lime green will more likely result in eye strain than happiness. Our colour consultants can show you how to tone down your colour selections and still get the desired upbeat effect. Not Taking a Colour for a Test Drive – You wouldn’t buy a car without first driving it around the block, why would you paint your room without first trying on the colour? Take a paint sample home with you and paint a large piece of heavy paper. Move it around the room at different times of the day. If it looks as good at 10 pm as it does at 10 am you’ve got yourself a colour. Living with the Mistake – It can be hard to go back to the paint store and admit you made a mistake but living with the wrong colour is not an acceptable alternative. This time talk it over with our experts. They’ll be able to identify where your last choice went wrong and help you make sure it doesn’t happen again. Whether you live in Vaughan, Woodbridge, Thornhill, King City or Maple selecting paints for your home can be an exciting, fun experience. Let the colour consultants at Centro Paint help you make sure that it’s also a successful one. If you’re a paint store owner having knowledge of products related to your core business is not only good for you it’s good for your customers as well. House paint doesn’t exist in a vacuum after all and neither should the people who sell it. Countless homeowners have painted walls in one room and wallpaper in an adjoining room and if your staff can’t tell them how changing one will affect the other then maybe you and your staff should consider trying another business. Crown Wallpaper and Fabrics – One of Canada’s leading sellers of fine wallcoverings and decorative fabrics for more than 75 years. Brewster Home Fashions – A global distributor of high end wallpaper and other products for home decoration and a leader in the home design marketplace. Blue Mountain Wallcoverings – One of North America’s largest wallpaper manufacturing, design and supply companies. Kravet Inc. – A century old distributor of luxury furniture, fabrics, wall coverings, carpets and more with offices in North America and around the world. And of course, Benjamin Moore Paints – One of the world’s largest manufacturers of high quality house paints and finishes and the backbone of our paint store business. Of course featuring such an array of high quality home decoration materials and services would be meaningless if our staff were unable to provide you with timely, useful information and advice about them. That’s why at Centro Paint our staff are rigorously trained in the intricacies of all related disciplines and products. From the moment you walk in you’ll notice the difference as our wallpaper consultants and colour consultants guide you through the process of creating a total look for your home in Vaughan, Maple, Woodbridge, King City or Thornhill. The results of this study were no surprise to us as we’ve always believed in the value of elite customer care and have invested heavily in making sure our home decoration pros are some of the best in the business. So bring your decorating questions to Centro Paint and let us help you craft a comprehensive aesthetic blueprint for your home. You’ll get access to both the best materials available on the market today and a level of personal care that will allow you to relax and make informed decisions. At Centro Paint we’re more than a paint store, we’re your global home decoration resource. If you’ve got the paint and you’ve decided to tackle the transformation of the interior of one of the rooms in your home yourself, there’s one step (but a very important step) that you must take before you dive right in. We are of course referring to preparing the room before you paint. We’ve lost count of how many times a homeowner from Vaughan, Maple, Thornhill or King City has come into our paint store and spoke to a colour consultant on our team, asking how they can remove a paint stain from a carpet or a piece of furniture. To ensure this doesn’t happen to you, we’ve put together a short checklist of some of the things you should do before you start painting. If you’re equipped with everything needed to get the job done, it’s just a case of completing the following tasks before you can get started. Move Furniture Out of the Way – This isn’t necessary just because of the danger of staining furniture with paint, it also makes the job much easier for you. Why stretch over furniture trying to reach the corner of a wall or potentially stumble over pieces of furniture with the paintbrush in your hand when you don’t need to? Ensure Flooring is Protected – Unlike your furniture, you unfortunately can’t just remove your flooring from the room while the painting is completed. And simply laying an old sheet or a few sheets of newspaper underneath the paint tray isn’t going to suffice. It needs to be properly protected. Drop cloths are the best choice; the paint won’t soak through and they also prevents you from accidentally trailing paint all over your property should you accidentally get some on your shoes. Pictures? Remove Them – If you’ve got any paintings or pictures hanging on the walls, remove them before you start. You don’t have to be a qualified colour consultant or work in a paint store to know that this is much easier (and less risky) than painting around these items, but you would be surprised at just how many people commit this error. Outlet Covers & Switch Plates – If you’ve ever hired a professional to do some interior painting for you, you will probably have observed them take the outlet covers and switch plates off before painting those areas. This is because it’s virtually impossible to paint around these features without accidentally applying some paint to them. If you want to avoid this, you would be well advised to take them off too. If you require further advice or still need help in choosing your paint and want to speak to a colour consultant, please get in touch with the team at Centro Paint & Decor. Should You Ask Your Paint Store to Actually Paint Your Home in King City, Thornhill, Maple, Woodbridge and Vaughan? Many times a paint store will not only provide top quality paint to consumers, it will also offer professional services to actually apply that paint to the interior of your home. “But can’t I just do it myself?” we hear you say. You certainly could and many in Vaughan, Maple, Thornhill and King City do, but there are also a number of reasons to consider hiring a pro to do the work for you. Essential Preparation Done – Ask any colour consultant or other team member in our paint store what the most common error people make when painting their home is and they will likely say “a lack of preparation.” The preparation before painting is done requires a significant time investment and that’s why many DIYers skip this step, but it often proves essential to the end result. This process won’t be skipped if you hire a pro. Massive Time Saving – Let’s get one thing straight. When done properly, home painting is often very time consuming and it’s really hard work. And if you have very little experience it will often take you even longer. Why labour for several days when a professional could come in and do the same job in a couple of hours? No Materials are Wasted – The average homeowner will often buy resources they don’t really need, forget to buy items they do need and then waste paint while they’re actually doing the job. That’s not even mentioning the possible need to buy the proper tools if you don’t already own them. This all drives the price of the project up unnecessarily. Professional painters already own everything that is required and will only bring along the resources needed to complete the job. A paint store will also often offer a discount should you hire their contractors to do the work. Expert Clean-Up – Professional painters understand the importance of being thorough during the clean-up process since they often reuse many of the tools and resources that they use. This often translates to a higher quality finish than you could possibly hope to achieve on your own. Home painting is not as easy as people like to make out, not if you want to be proud of the end result. Avoid the hassle of doing it yourself by talking to the staff at your local paint store and asking whether they are able to do the work on your behalf.